Standing at the top of the ridge overlooking the Nadab floodplain is unforgettable. Stretching before you is an open landscape that is nothing short of breathtaking. You get a sense of the scale of this region and somehow the country speaks to you, or more like, whispers a story of ancient history and spiritual heritage that connects you to it. It is no surprise to me that this place has inspired its earliest inhabitants to gather here and add their knowledge and experiences through art and storytelling. 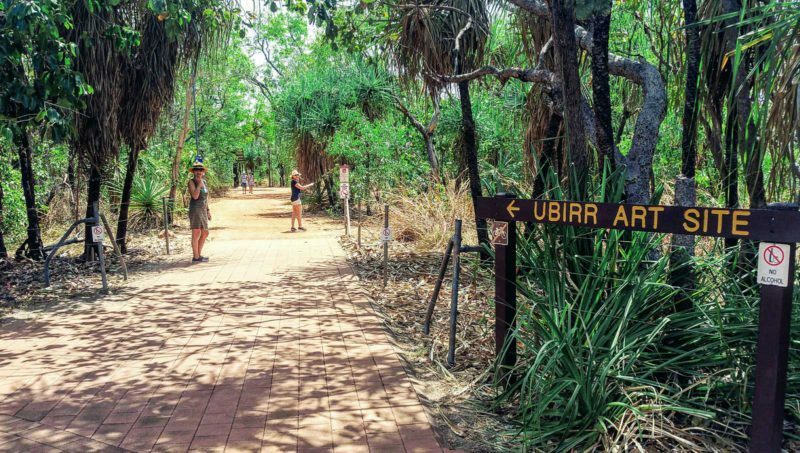 Ubirr lies in the north-east corner of Kakadu National Park within the East Alligator region and is an easy 55min drive from the township of Jabiru. The site is open most of the year but during the wet season the road can be flooded so check with the information centre if you’re there in the wetter summer months. 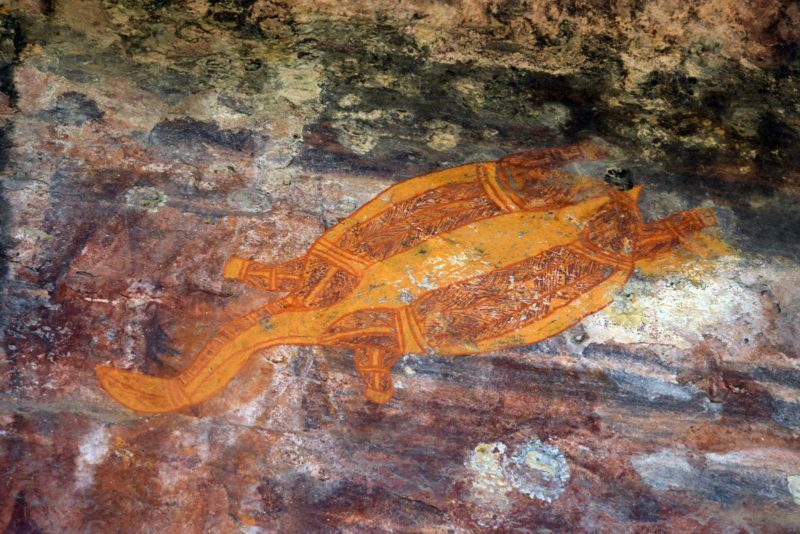 Ubirr is renowned for its Aboriginal rock art and is reported to be one of the best examples in the world. 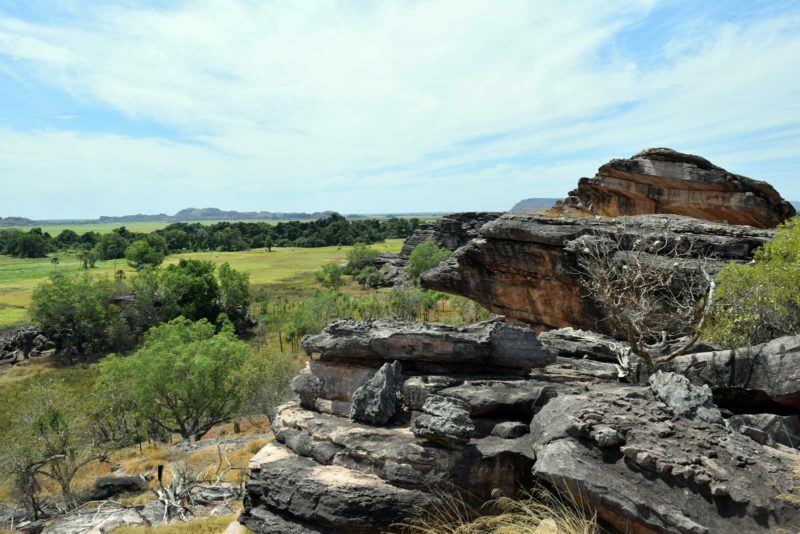 Kakadu National Park is home to a significant collection of Aboriginal rock art with some sites estimated to be up to 20,000 years old. When you are standing just an arm’s length from these paintings you begin to realise they are part of our national treasures, cared for and maintained for hundreds if not thousands of generations. How lucky we are to be able to see them, how lucky we are they have survived. 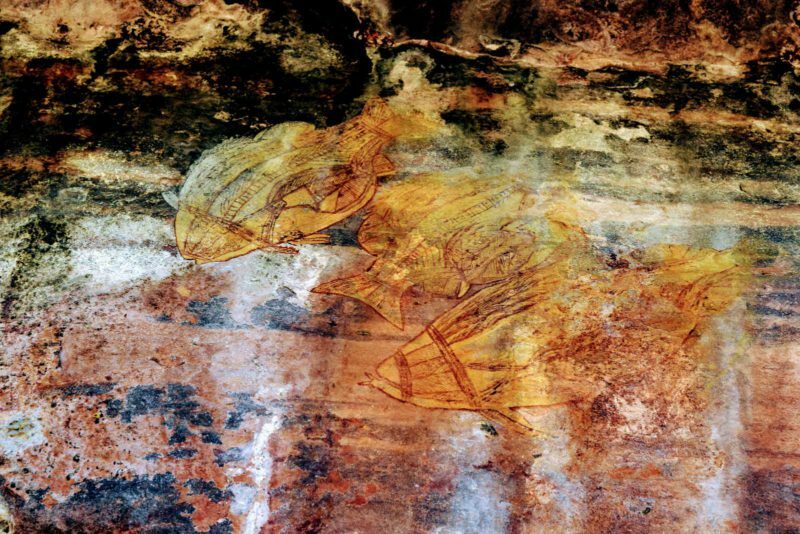 Much of the art at Ubirr features animals, particularly food animals such as goanna, fish possums, and wallabies, but there are also images of spirit creatures such as the Mimi spirits and those that depict the creation stories. At Ubirr there are also more recent images that speak to the time when the indigenous people here first encountered Europeans. 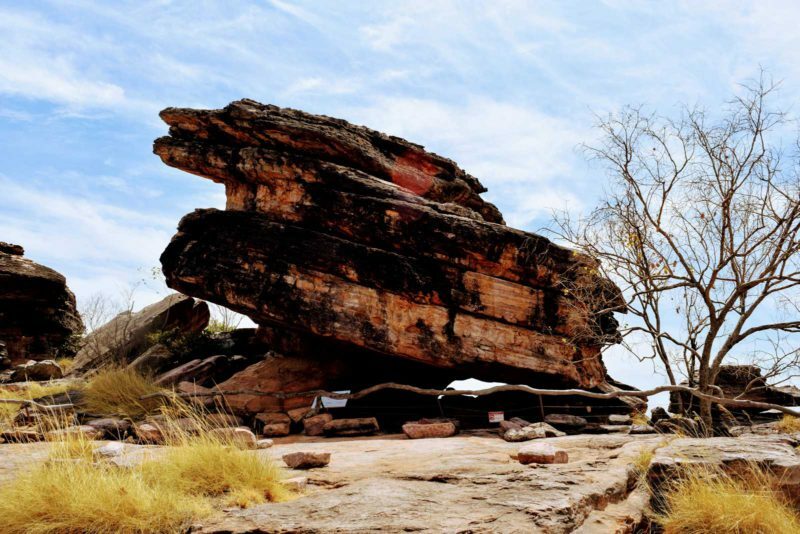 If rock art fascinates you, there is a wealth of information available and there are regular ranger guided walks available and the ranger staff are very knowledgeable. There are five art sites or galleries within Ubirr, The Rainbow Serpent Gallery, The Main Gallery, The Crosshatching Gallery, Namarrkan Sisters and Mabuyu plus the lookout and each have their differences so take the time to see them all if you can. 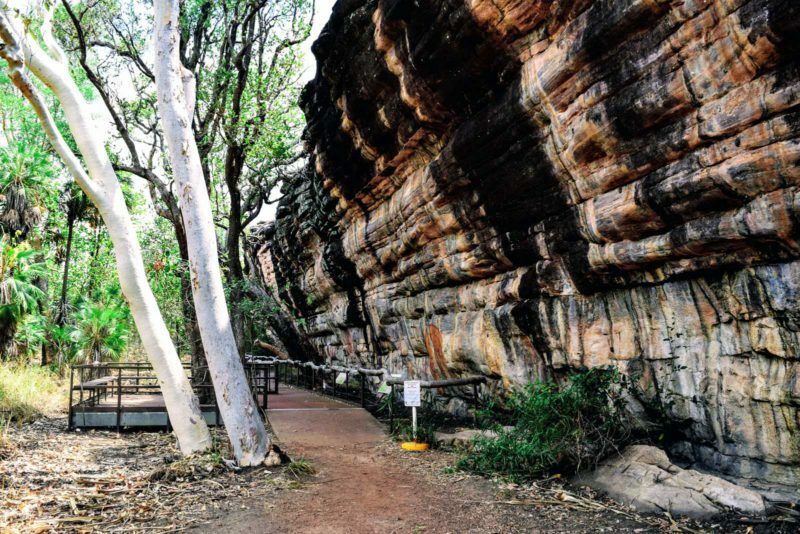 There is an easy 1km walking circuit track that is wheelchair friendly including access to the Rainbow Serpent gallery. The Main Gallery has some fine examples of the so called ‘X-Ray’ Art. The walk up to the lookout is a moderately steep 250 metre climb but well worth the effort. 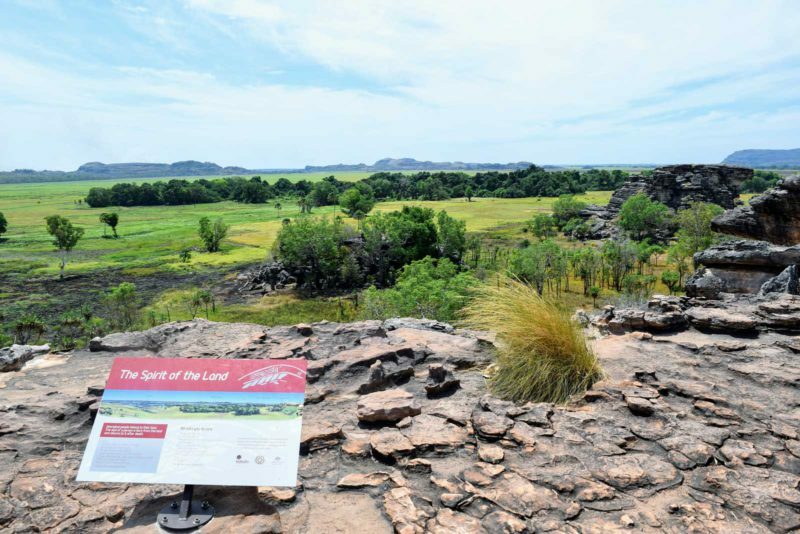 Once there you will be treated a panoramic view of the Nadab floodplain and out into Arnhem Land. A spectacular spot to soak up the view and if you time it right, a magical sunset awaits.